Baci Milano’s collections are like something you’d find in a doll house – only, you don’t need to shrink yourself down to three inches to enjoy their fantastical world. Lace and ribbons, fanciful patterns and knotted bows, sugar and spice and all things nice…Baci Milano will surely capture your imagination and love for all things spectacular and graceful. Designed in Italy, their irrefutably pretty pieces will extend from the kitchen to the coffee table and beyond. 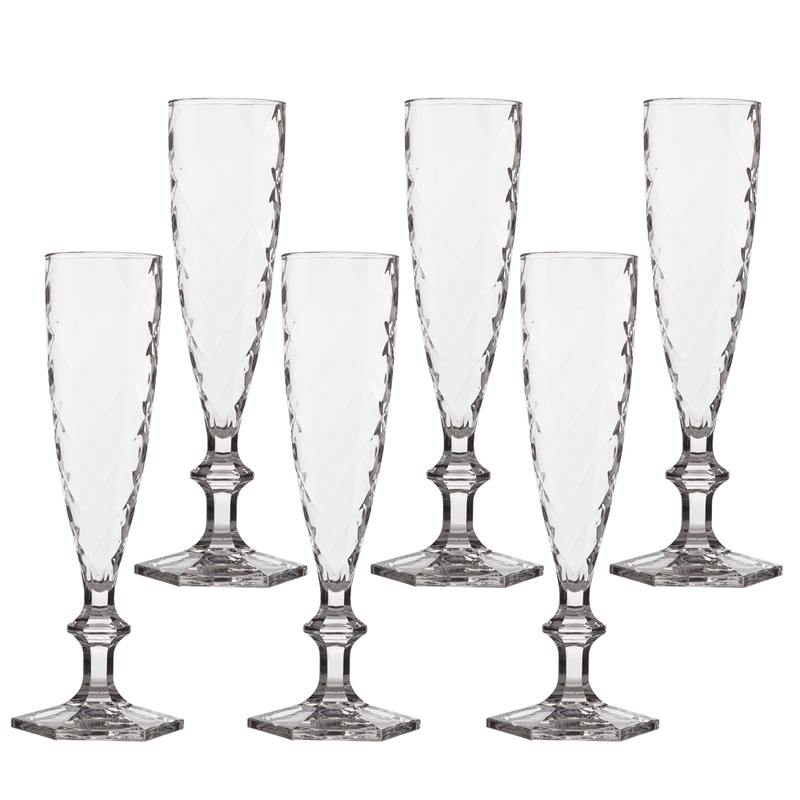 Add some understated elegance to your table settings with Baci Milano’s Lounge collection. Forged from acrylic, each piece of tableware in the range is delicately embellished with a faint diamond design, and thanks to their durable construction, you even use Lounge for some laidback alfresco dining. Delicately embellished with a diamond pattern. Presented as a set of six in a Baci Milano gift box.